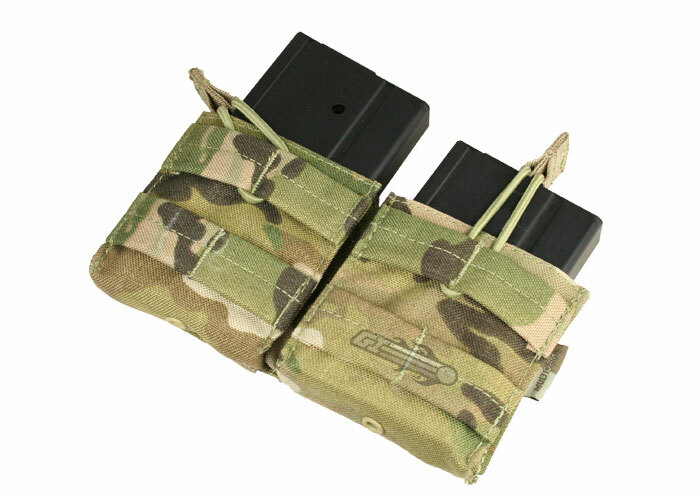 This MOLLE Open Top Dual M14 Mag Pouch fits two (2) M14 magazines. The open top of this magazine pouch gives the user quick access to his magazines in order to reload in a hurry. Adjustable strap with pull-tab to hold the mags tight. Grommet on the bottom of the pouch allows for drainage. Got these mag pouches for my FAL, they fit flawlessly as expected. The straps offer a good tight hold and are easy to get into. I got 4 of them and have them stacked 2 per side on my rig. Sadly they sag because they aren't as tall as the small caliber high cap types for M4gery mags. I'm going to attempt to correct this with 550 cord. I can't say if it would be a problem for people who plan to not stack them, but even despite this it wears well and is easy to work with when on, just looks like I got a ammo gut when I rock it. Got this pouch for my 2 sr25 mags. I love this pouch, its made from high quality material and fits nice and tight to my molle rig. These pouches need to be "broken in" at first it was extremely hard to fit a mag in but once i got it in and used it for a while it makes it easy fit for my mags and you dont even need the elastic pouch, i mean whats the point in open top if u have it strapped in? Anyway without the cord they are held nice and snug. Well designed pouch. Keeps your mags in place so they won't rattle around while running. Open top allows for easy access and quiet removal of magazines. MOLLE webbing on the front allows for attaching more pouches. 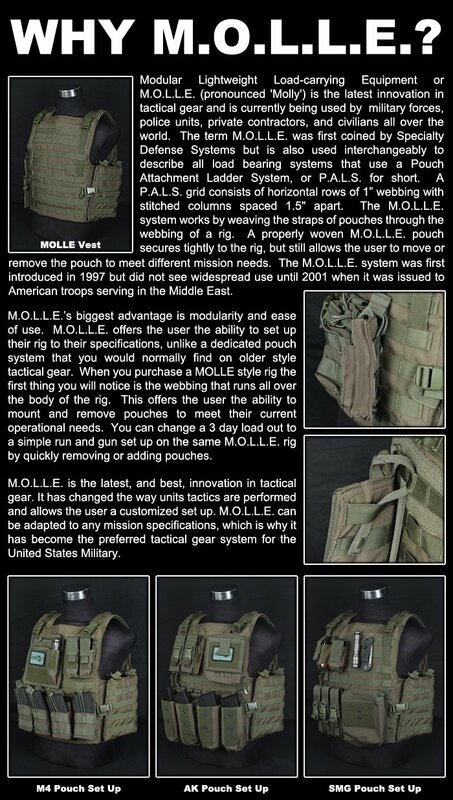 MOLLE webbing also helps it 'blend in' on a plate carrier. Needs to be "broken in" before use in game. Just leave your mags in for a day or 2 and that should be enough. Will these fit m4 mags? Yes but the magazine will move around excessively.